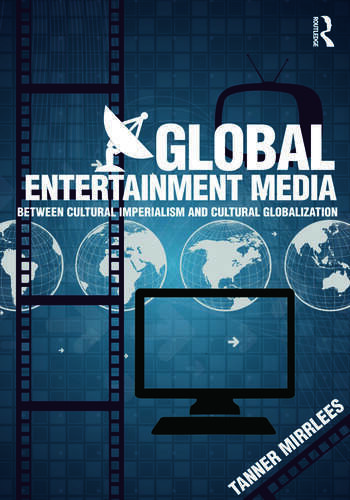 A critical cultural materialist introduction to the study of global entertainment media. Paradigms of global entertainment media such as cultural imperialism and cultural globalization. The business of entertainment media: the structure of capitalist culture/creative industries (financers, producers, distributors and exhibitors) and trends in the global political economy of entertainment media. The "governance" of global entertainment media: state and inter-state media and cultural policies and regulations that govern the production, distribution and exhibition of entertainment media and enable or impede its cross-border flow. The new international division of cultural labor (NICL): the cross-border production of entertainment by cultural workers in asymmetrically interdependent media capitals, and economic and cultural concerns surrounding runaway productions and co-productions. The economic motivations and textual design features of globally popular entertainment forms such as blockbuster event films, TV formats, glocalized lifestyle brands and synergistic media. The cross-cultural reception and effects of TV shows and films. The World Wide Web, digitization and convergence culture. Tanner Mirrlees is an Assistant Professor in the Communication Program at the University of Ontario Institute of Technology (UOIT).